Charleston is South Carolina’s fastest growing city, but while this historic port town is attracting more tourists than ever, a multitude of problems have risen from increased development and construction, alarming thousands of residents who feel like they no longer have control over the changing face of the city they call home. Depending on who you talk to as you wander along the Battery or meander down the charming streets, life as longtime Charlestonians once knew it is over. The Holy City has long been a source of great pride in the Lowcountry, with its historic sites, soaring church steeples, and tightly-knit community. It has been a cultural epicenter for decades. But Charleston is now the fastest-growing city in South Carolina, and one of the most popular tourist sites in the country. While this notoriety has brought economic prosperity to Charleston, particularly in the hospitality sector, it has also caused intense backlash from locals who feel that their city’s authenticity, culture, and way of life is being compromised. An average of 34 people a day are moving to Charleston, according to the Charleston Development Regional Alliance, surpassing Columbia as the state’s most populated city. With this expansion comes increased development, higher property values, congested traffic, and an expanded tourist district. The areas of Mount Pleasant, downtown, West Ashley, James Island, and, recently, Johns Island are all especially affected. The development of Johns Island is something many locals never thought they’d see; this once-quiet, rural island full of towering oaks and creek-side homes is now bursting with new condos and apartment complexes that seemed to spring up overnight. Johns Island resident Jay Gervais, a civil engineering major at Clemson University, would have preferred restrained growth on the islands but he said he understands that some development is necessary to accommodate Charleston’s exploding population. He also points out another factor in the unchecked growth of Charleston; politics. At the heart of his concerns are aging and inadequate infrastructure, including roads, drainage systems and drainage systems to roadways. Gervais paints a grim scenario of a city stalled from the port to the interstates. The arrival of cruise ships to Charleston has raised concerns about congestion and pollution. Hundreds have turned out at town hall meetings raising concerns about construction of a cruise ship terminal in the historic district of downtown. A lawsuit erupted in 2014 after environmental organizations, preservation societies, and several neighborhood groups alleged that Carnival Cruises were causing a nuisance to the residents of downtown. The state Supreme Court ruled in favor of Carnival earlier this year, allowing for cruise line operations to continue downtown. The increased development of the historic and largely residential downtown area has been perhaps the greatest source of conflict. In 2015, Charleston mayor John Tecklenburg tried to impose a memorandum that would prevent further construction of hotels in the downtown area, where buildings are by statute to be no taller than the church steeples. That restriction has been subverted time and time again in recent years. 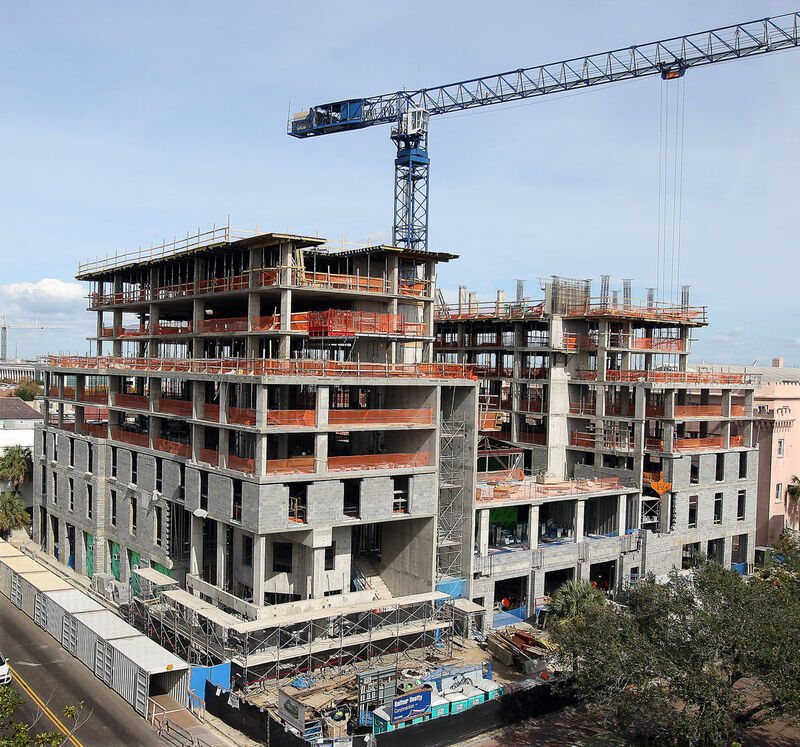 Charleston City Council responded by overruling the mayor, and the downtown skyline continues to display massive cranes and construction equipment as development continues. “I think it’s sad,” said Sommer Peterman, a senior at the College of Charleston and lifelong resident, who lives in a historic sorority house downtown. 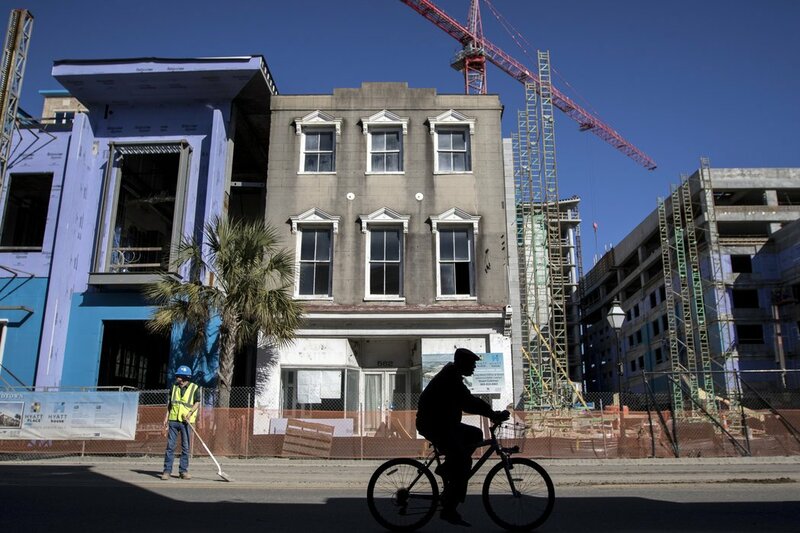 “A lot of the construction is necessary to preserve our historic buildings but some of it, like the new hotel on Lockwood and the new hotel on upper King diminish the charm and historic nature of Charleston. Amid all these development concerns is an issue more pressing to some than simply the face of the city changing; – the development of poorer urban areas. North Charleston in particular is home to a large population of lower-income residents who have lived there for years. With downtown full and Mount Pleasant near-bursting, developers have turned to North Charleston to construct more upscale condos and housing projects. The Charleston City Paper reports that last year, a trailer park located near Wando Woods evicted all its residents with little notice and sold the property to the College of Charleston. This is not an isolated incident, but rather an emerging pattern as property costs continue to rise and rampant development spreads out from Charleston’s already-overcrowded areas. Development continues at a rapid pace in North Charleston.